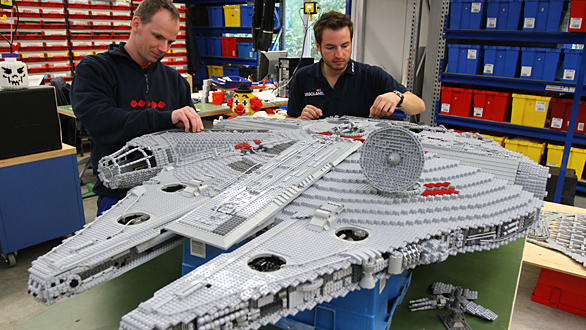 A new "Star Wars" themed area at Legoland California with 2,000 Lego models will take visitors chronologically through scenes from the epic film saga. Scheduled to make its debut March 31, the new "Star Wars" area will be part of the Carlsbad kiddie park's Miniland, park officials said Thursday. It will feature animated scenes from the six movies in the series and the "Clone Wars" television cartoon -- complete with special effects and sound effects. Eight model makers and two animators based at Legoland Germany have been working for a year with Lucasfilm to create 1:20 scale versions of iconic "Star Wars" characters, spacecraft and landscapes using 1.5 million Lego bricks.